What the What?! A Liebster Award - Nekaro & Co. I don't get awarded too many things around here. That's ok. I don't mind. Too much. Oh who am I kidding?! I love getting awards! 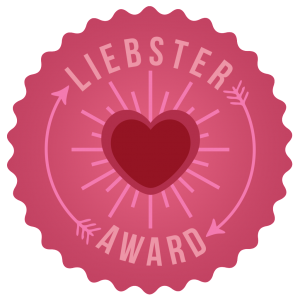 Angie from Angie's Angle bestowed upon me the Liebster Award! 2. You must answer the 11 questions given to you by the nominee before you. 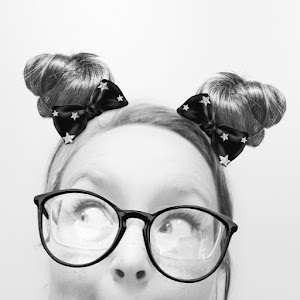 Honestly, I don't know why I started blogging. It seems like such a long time ago now. 2. What direction would you like your blog to take? I'm not really looking for a direction. I'm trying to section out time in my day for many activities and the internet has kind of taken a backseat lately. I'm not complaining, but I do miss posting and reading. 3. If you could have an evening (dinner, movie/walk) with anyone living or dead, who would it be and why? My grandmother, Louise, and grandfather, Howard. 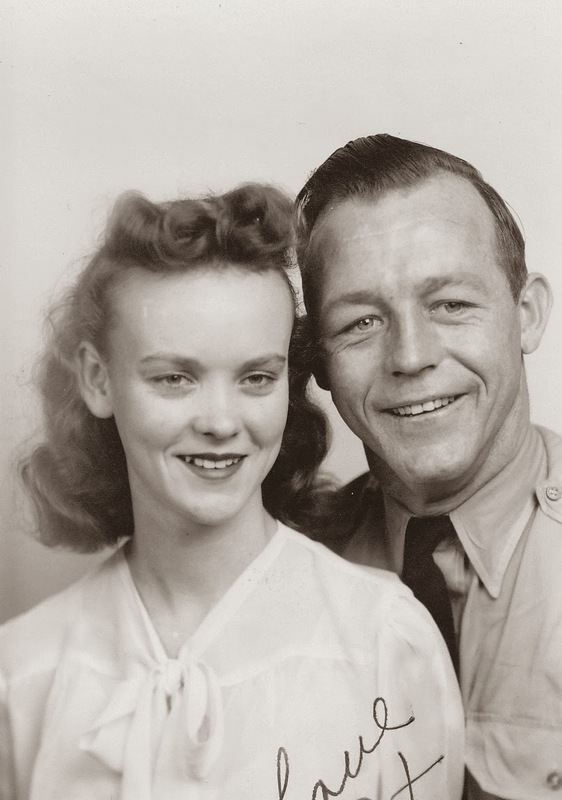 My maternal grandparents, Louise and Howard, were cute together. They were long divorced by the time I came along. I was able to meet my grandfather once. I was very small, but I remember that he gave me a ceramic piggy bank that he had made for me. While I did see my grandmother, we weren't ever close. Now that they are both gone, I have so many questions. Mainly about growing up in the 1930's and 40's and what is was like to have six children! 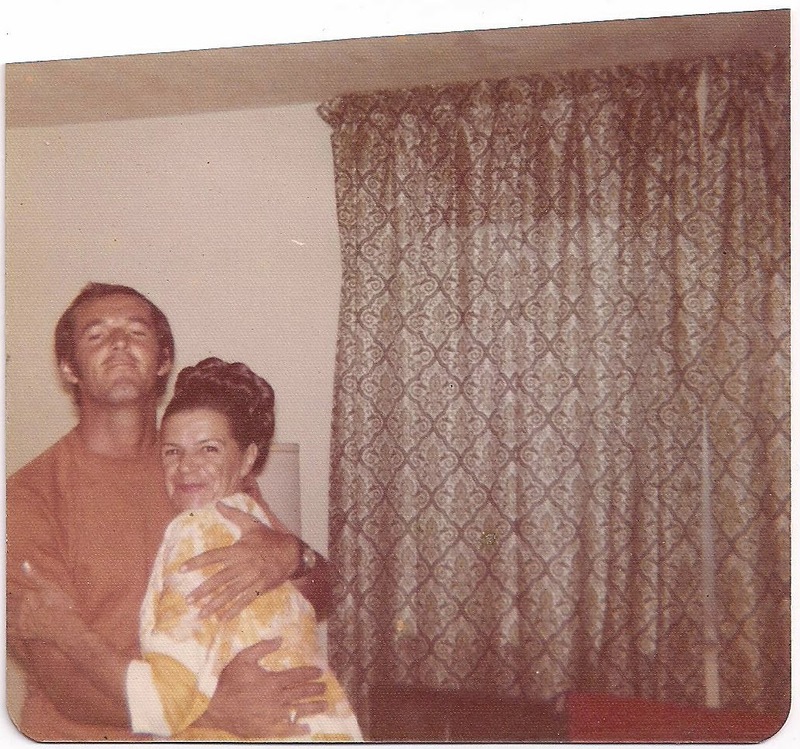 My dad and my grandmother, Lee. My dad's mom passed when I was only a year and a half old so I never met her. I love it when my dad tells me stories about her. She used to be in the roller derby! She was an amazing artist too. My dad's father left when my dad was young and he was never part of my dad's life. My husband and I took a trip to Chicago in 2006. I found his cemetery plot in the Queen of Heaven cemetery. No headstone. Even though he'd married again. Though my main question would be why did he leave, more importantly I'd like to know more about his family. I can't seem to find much information. 4. Imagine you could go on vacation anywhere - where would you go and who would you take with you? I would always want to take my family, that's the easiest part of this question. The where? Grand Canyon, Australia, the pyramids of Giza (and mainly all of the ancient Egyptian historical sites along the Nile River), the Great Wall of China, Japan, Route 66, Ireland, Scotland.... and so on and so forth. 5. What would be the first thing you would splurge on if you were to win a jackpot? Land. I would buy acres and acres of land. To live and cultivate. And raise chickens and cows and horses and sheep... and so on and so forth. 6. If you could domesticate any animal as a pet, what would it be and why? Pegasus because duh... flying horse. It's not exactly hidden, but last year (about this time) I decided to learn knitting. I've made several things so far and while I still consider myself a "newbie", I'm pretty proud of my accomplishments with this craft. But suddenly, now I have a yarn addiction. 8. What is your favorite way to relax? Nature. I love to be outside hiking or gardening or warming my toes in the sand. 9. If you could have one wish granted right now, what would it be? To have 100 acres of wooded land with a natural spring and a small, off grid home. Autumn/Fall. It's crisp, clean, warm. I wish all the months could be October months. 11. Name 3 other blogs that you enjoy reading. Kaelah at The Clueless Girl - I have a girl crush on her. She has a feature post called Things I Love Thursday. Love it. Tiny House Swoon - Not exactly a blog in the traditional sense. Tons of photos and links with some of the most darling tiny/small homes. Loads of ideas for when I get that wish granted in number 9. Cam at A Little Kindred - She is my best friend and if I didn't include her in my three blog list, what kind of friend would I be?! She just had the cutest, sweetest, cutest baby ever! She's just rejoined the blogging community after a hiatus. Those are my 11 questions! Because I haven't the brain power after a full week of snow days to come up with 11 questions of my own and because I really liked Angie's questions, I'm using hers! Found at the bottom of the post for easy copy and pasting. I know the rules state that I should select 11 blogs with under 200 followers. To be honest, I don't pay attention to how many followers people have. So lets just say that I am tagging you. Yes, you. If you are reading this, consider this your notice that you have been selected! Let me know if you accept and write a post with the questions! I'd love to read your answers! 6. If you could domestic any animal as a pet, what would it be and why? I love the story with your grandparents. would me amazing to find answers, wouldn't it? Plus I love the old photos! And love the flying horse lol - made me chuckle! Great answers - I especially agree with hiking - there is nothing like sitting in the warm sun with a book too! Plus land, I'd love some land! Yessss! I love to just listen to the peace and quiet. Shoot yeah! We are all worthy! :) And thanks for reading! I love what you wrote about your grandparents! I miss my mom's parents so much. I would love to spend some time with them again. This was fun. I had no idea you loved nature so much. I do love nature! I don't get out in it nearly enough!